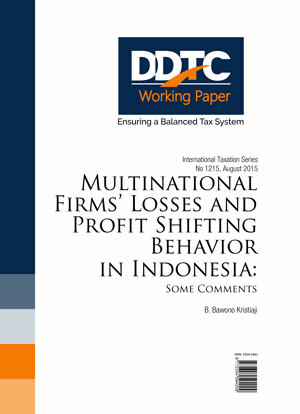 In this paper, tax and non-tax motives of multinational firms’ losses will be elaborated. Financial losses become the issue that will be described in business framework, and will also be framed as profit shifting strategy. Furthermore, how should Government of Indonesia (Directorate General of Taxes/DGT) react to those particular issues? Should DGT have effective anti-avoidance rules and improve their tax administration system? Detailed rules and administration strategies are beyond the scope of this paper.